First of all, for the sake of full disclosure, one of the authors is a friend of mine. Of course, Ron Tite is the kind of guy that appreciates honest feedback, so that relationship may not necessarily the best way to a glowing review. 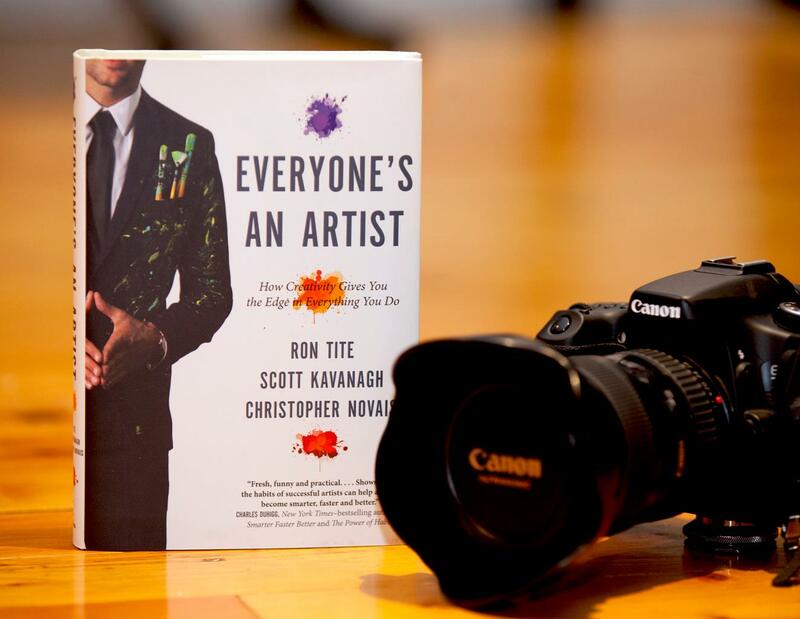 In this case, though, it works out well for everyone since “Everyone’s an Artist” is an entertaining read that will sing to the choir for some, and offer some interesting perspective to others. The book, co-written by Tite, Scott Kavanagh and Christopher Novais might initially seem like a self-help book from the liner notes – and in a way it is; but it is very different from the typical dry patronizing read. In fact, Everyone’s An Artist is very effective at delivering a very simple message: step out of your everyday to make room for the artist within, and you may just surprise yourself! The book presents simple and concise arguments to let a little bit of the creative right brain activity walk hand-in-hand with the logical left to achieve interesting insights and more robust ideas both inside and outside of the workplace. They back up these tenets with interesting examples that demonstrate just how powerful art can be. There are even some personal examples that lend weight to their points. The book is well laid out, and is written in a casual voice that delivers salient points very effectively. The pacing is such that you can read the book in spurts, or sit down and devour it from cover to cover. Regardless of how you read it, it is easy to digest, and is an invaluable reference for ways to spice up your existence. Bold words? Perhaps; but when someone can show you that the straight-laced world of rigid, digital thinking might just be a whole lot better with an injection of good ol’ free-thinking analog, well…you should really pay attention. You can order this book here from Amazon.ca.